Arunachal Pradesh is, undoubtedly, one of the most beautiful states in India. It is an ultimate haven for an offbeat traveller on account of the presence of several unexplored places and undiscovered sites. There are several places in Arunachal Pradesh which are popular all over the country and hence, these places in the form of forts and palaces are visited by thousands of tourists. However, it is also home to myriad places which are famous only amongst locals and offbeat travellers. So, how about exploring its less-explored archaeological sites and learning about its ancient history? Read on to know more about these archaeological sites in Arunachal Pradesh. Ita Fort was built during the 14th century under the reign of Chutiya kings. It is one of the major historical as well as archaeological sites in Arunachal Pradesh. Things found during the excavation at Ita Fort are on display at Jawaharlal Nehru Museum, which is located a few kilometres from the site. Today, the fort is lying in ruins, which attract several history lovers and historians. You must not miss this magnificent place when in and around Itanagar. Malinithan is one of the most important archaeological sites in Arunachal Pradesh, owing its popularity to its historical and religious significance. 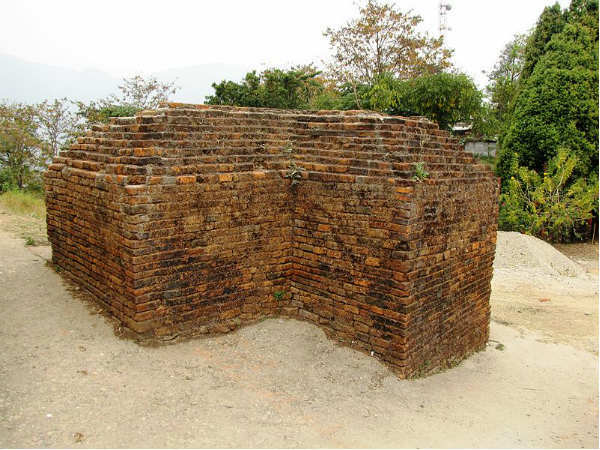 Located atop a hill on the banks of Brahmaputra river in the Lower Siang district, Malinithan is the site of ancient, ruined Hindu temples, which are believed to have been built during the 15th century by Chutiya King Lakshminarayan. These temples were built of granite stones and had Goddess Durga in her Shakti form as the main deity. As per Hindu ancient texts, Malinithan is said to be the place where Lord Krishna and Goddess Rukmini took a break on their way to Dwarka. Several sculptures of Lord Shiva, Nandi, Goddess Durga, elephants and lions have also been found at this archaeological site. You must visit Malinithan if you love figuring out the past of a place through its amazing architecture. Located in East Siang district, Gomsi is an archaeological site which is believed to be in existence since the Medieval Period. Even though there is not much to explore at Gomsi apart from ruins and collapsed buildings, it is still a significant place to learn about the history of the region. As per records, Gomsi is said to be an ancient settlement from the time of Chutiya kingdom. Today, it is under the management of the Archaeological Survey of India. So, how about getting yourself here and scrutinising the ruins of this settlement? Bhismaknagar Fort is located in the Dibang Valley district and is one of the most significant places in the region. It is believed to the built during the 8th century by Gaurinarayan, a Chutiya king. The region of Bhismaknagar is also considered as a sacred place by Idu Mishmis due to the presence of several religious sites; it was the capital city of Chutiya kingdom. Bhismaknagar Fort is a remarkable work of architecture considering burnt bricks and other sophisticated material used to build this masterpiece. The beauty of this marvellous fort clearly depicts the glorious era of Arunachal Pradesh.